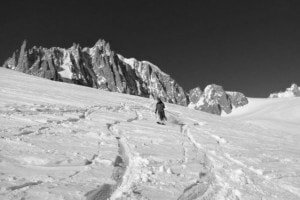 Vallée Blanche is the most famous offpist run in the Alps. 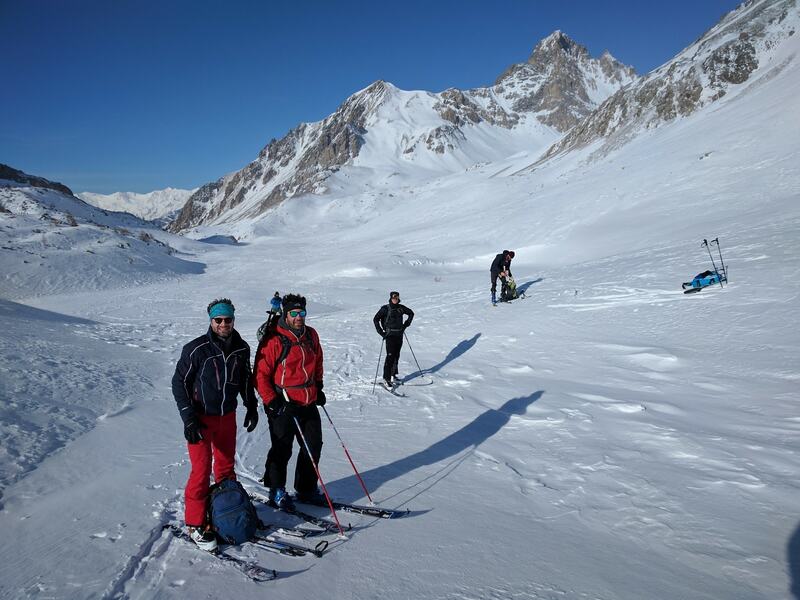 25 Km long, Vallée Blanche descent links Italy and France through the ‘mer de Glace’ glacier. 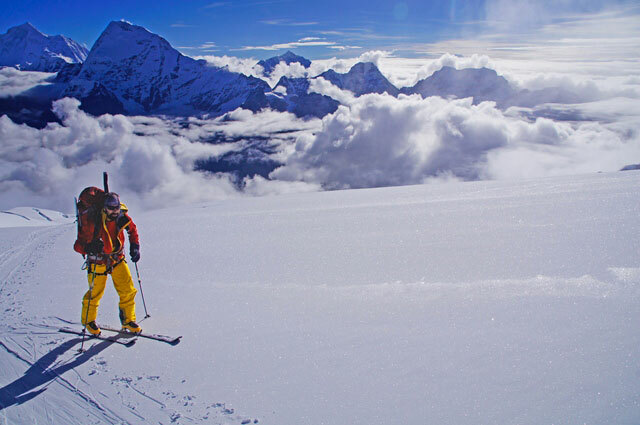 You’ll ski among the most beautiful mountains in the Alps. 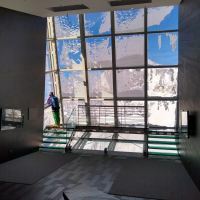 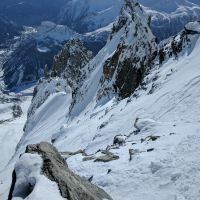 Descent starts from Helbronner point (arriving point of ‘skyway Mont Blanc’ cablecar), and ends in Chamonix-Mont Blanc. 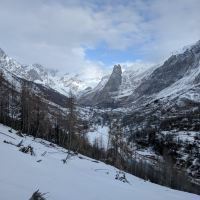 In some periods of the year you have to take the train from Montenvers to Chamonix, just if there’s not enough snow. The Vallée Blanche descent is an off-piste descent for skiers able to ski on every kind of groomed pist. 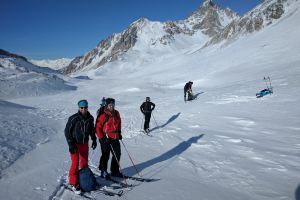 Is indispensable to be guided by a Mountain Guide. 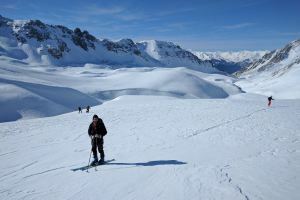 The Vallée Blanche descent is an off-piste descent for skiers able to ski on every kind of groomed pist (black pists) . 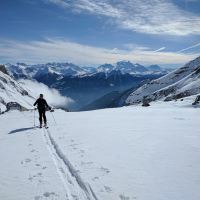 The Vallée Blanche is an off pist descent but thank’s to the high number of skiers the descent is easier than normal offpist skiing.The most important difficulty is the lenght of 25 km. 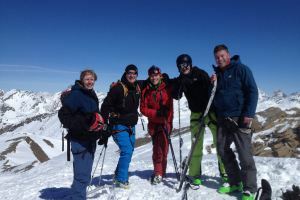 For your safety you need to be with a Mountain Guide first, than you need tranceiver, showel and probe (the guide will give you yours), and something to eat and drink. 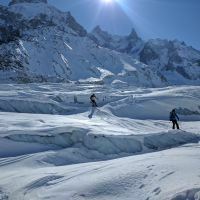 The period to ski down the Vallée Blanche goes from january to may. 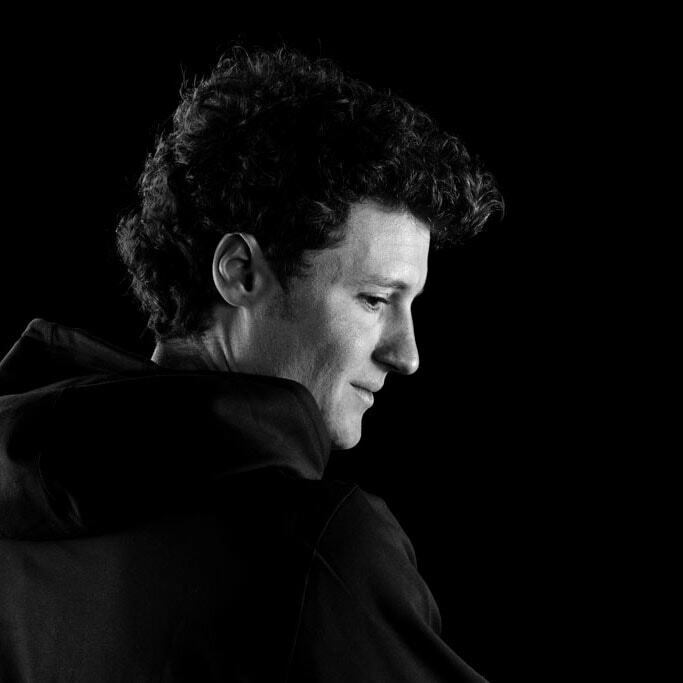 Write me for any information. The price for 2015 winter INCLUDING transfer from Chamonix to Courmayeur WITH PRIVATE BUS is 80 € each. 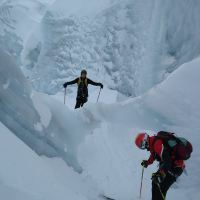 Groups must be composed by 4 persons at least.